In my last blog article, I've shown how to leverage Schematics, the Angular CLI's code generator, to scaffold custom components. This article goes one step further and shows how to register generated building blocks like Components, Directives, Pipes, or Services with an existing NgModule. For this I'll extend the example from the last article that generates a SideMenuComponent. The source code shown here can also be found in my GitHub repository. Schematics is currently experimental and can change in future. As you've seen in the last listing, we have to create an import statement at the beginning of the file. And then we have to add the imported component to the declarations array and - if the caller requests it - to the exports array too. If those arrays don't exist, we have to create them too. The good message is, that the Angular CLI contains existing code for such tasks. Hence, we don't have to build everything from scratch. The next section shows some of those existing utility functions. findModuleFromOptions Looks up the current module file. For this, it starts in a given folder and looks for a file with the suffix .module.ts while the suffix .routing.module.ts is not accepted. If nothing has been found in the current folder, its parent folders are searched. buildRelativePath Builds a relative path that points from one file to another one. This function comes in handy for generating the import statement pointing from the module file to the file with the component to register. There are also other methods that add entries to the other sections of an NgModule (addImportToModule, addProviderToModule, addBootstrapToModule). Please note, that those files are currently not part of the package's public API. Therefore, they can change in future. To be on the safe side, Hans Larsen from the Angular CLI Team suggested to fork it. My fork of the DevKit Repository containing those functions can be found here. 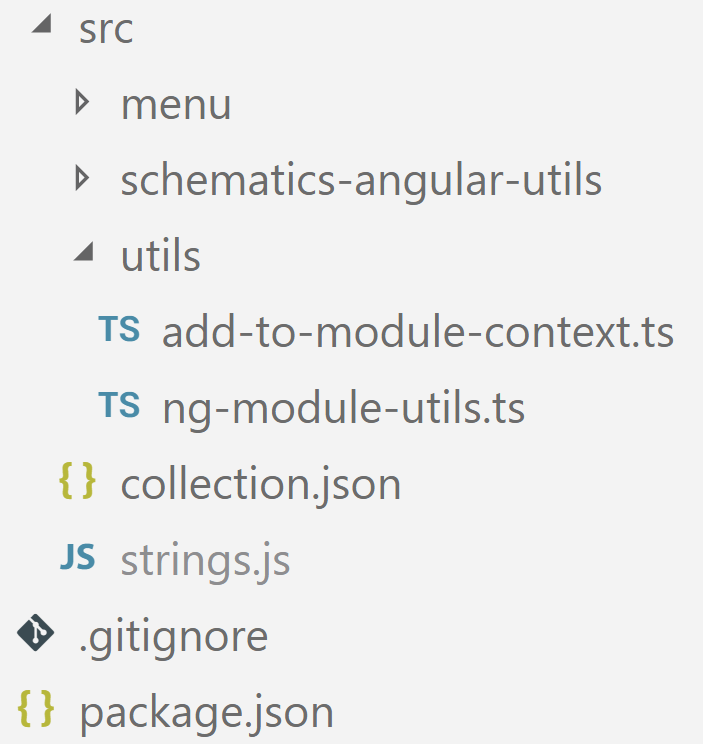 After forking, I've copied the contents of the folder packages\schematics\angular\utility containing the functions in question to the folder schematics-angular-utils in my project and adjusted some import statements. For the time being, you can also copy my folder with this adjustments for your own projects. I think that sooner or later the API will stabilize and be published as a public one so that we don't need this workaround. This function takes an ModuleOptions instance that describes the NgModule in question. It can be deduced by the options object containing the command line arguments the caller passes to the CLI. It also takes a flag exports that indicates whether the declared component should be exported too. The returned Rule is just a function that gets a Tree object representing the part of the file system it modifies. For implementing this Rule I've looked up the implementation of similar rules within the CLI's Schematics in @schematics/angular and "borrowed" the patterns found there. Especially the Rule triggered by ng generated component was very helpful for this. The addDeclarationToModule function takes the retrieved context information and the modulePath from the passed ModuleOptions. Instead of directly updating the module file it returns an array with necessary modifications. These are iterated and applied to the module file within a transaction, started with beginUpdate and completed with commitUpdate. As you've seen, it just delegates to addDeclaration and addExport. After this, it returns the modified file tree represented by the variable host. 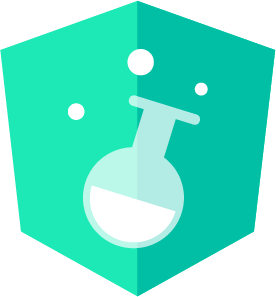 The property module holds the path for the module file to modify and export defines whether the generated component should be exported too. "description": "Export component from module?" As mentioned in the last blog article, we also could generate the file schema.ts with the information provided by schema.json. As the passed MenuOptions object is structurally compatible to the needed ModuleOptions we can directly pass it to addDeclarationToNgModule. This is the way, the CLI currently deals with option objects. In addition to that, we infer the module path at the beginning using findModuleFromOptions. To try the modified Schematic out, compile it and copy everything to the node_modules folder of an example application. As in the former blog article, I've decided to copy it to node_modules/nav. Please make sure to exclude the collection's node_modules folder, so that there is no folder node_modules/nav/node_modules.